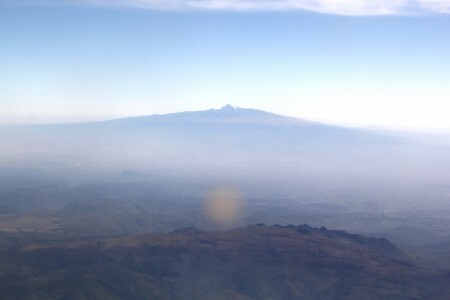 After an early morning in Nairobi, everyone boarded a small plane and we flew north up the Great Rift Valley. 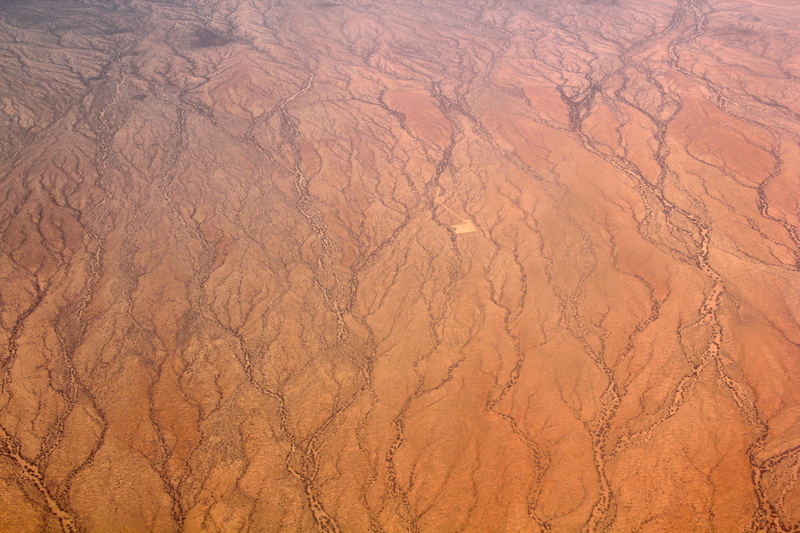 We watched the green highlands give way to the arid Northwest: our home for the next ten weeks. After a few hours to get settled in camp, class continued, this time focusing on the ecology of the new, and less-green environment, of the Turkana Basin. Mt. Kenya, a dramatic product of the failed rift zone that zig-zags through Kenya and the rest of East Africa, dropped away behind us as we moved into the arid Northwest. 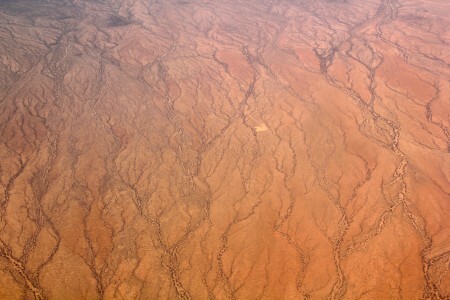 An aerial view of the type of environment we will be calling home. Though to be fair, we will be on the banks of the Turkwel River with ready access to water and a little green. 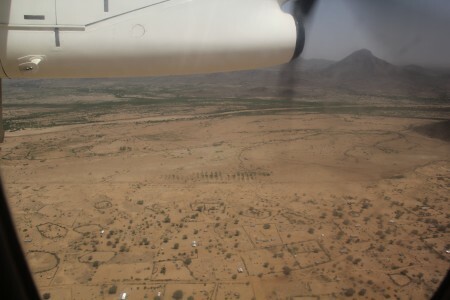 The outskirts of the town of Lodwar, the closest town to the TBI Turkwel Field Station. 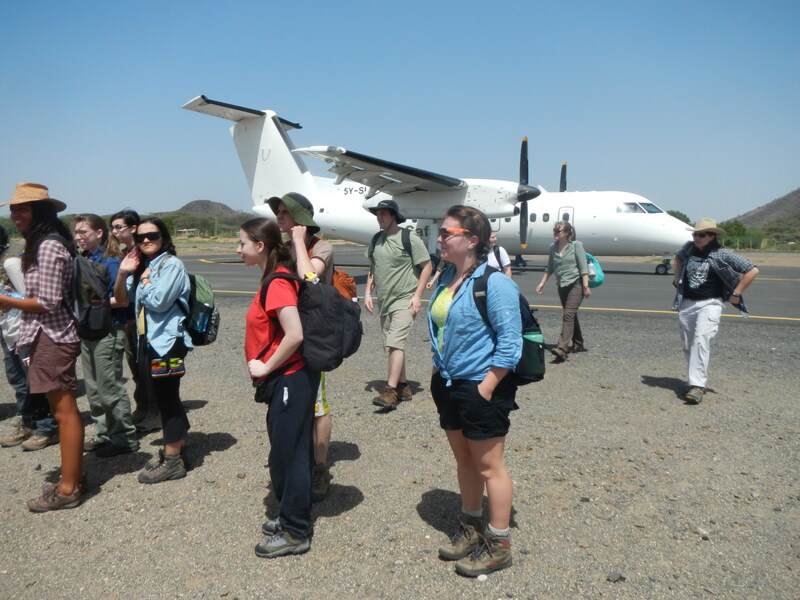 Arriving at the Lodwar airstrip where we were greeted by Acacia Leakey and the desert sun. 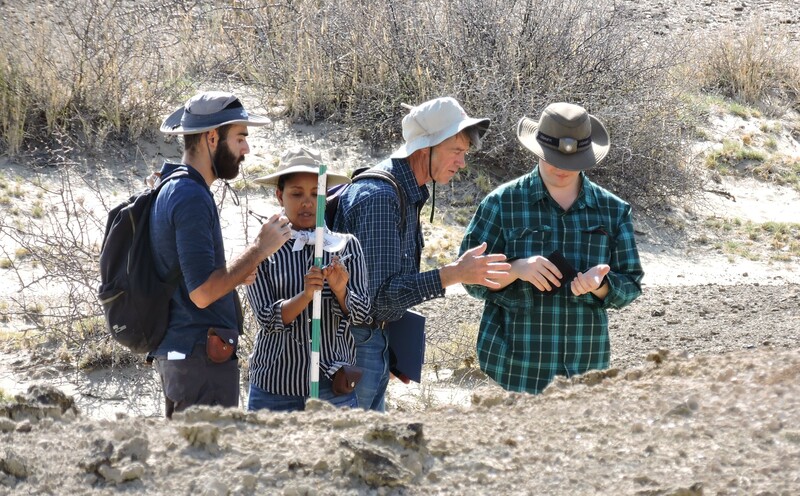 One of the many goals of the Turkana Basin Field School is to provide students the opportunity to participate in active scientific inquiry. 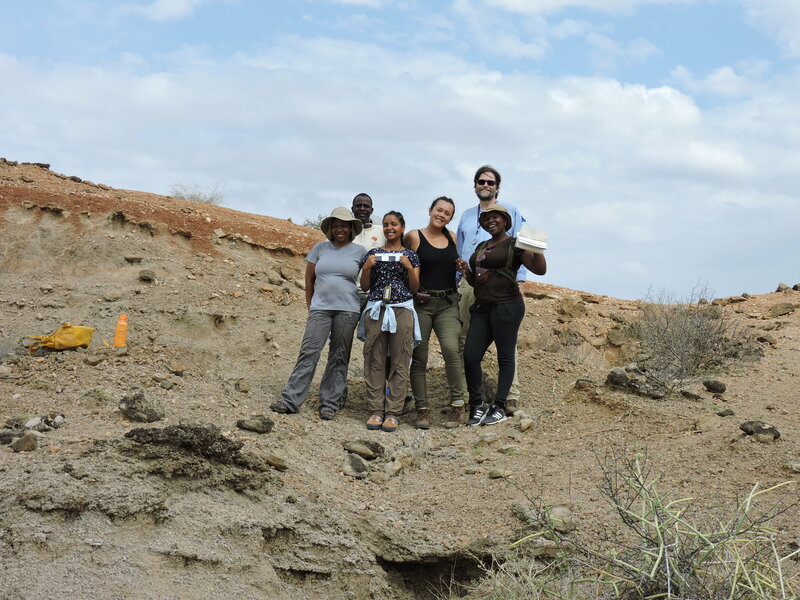 Rather than memorizing the conclusions of other researchers’ work or performing labs with known results, TBI students learn research methods and apply them to ongoing research questions that will meaningfully contribute to an understanding of the Turkana Basin. 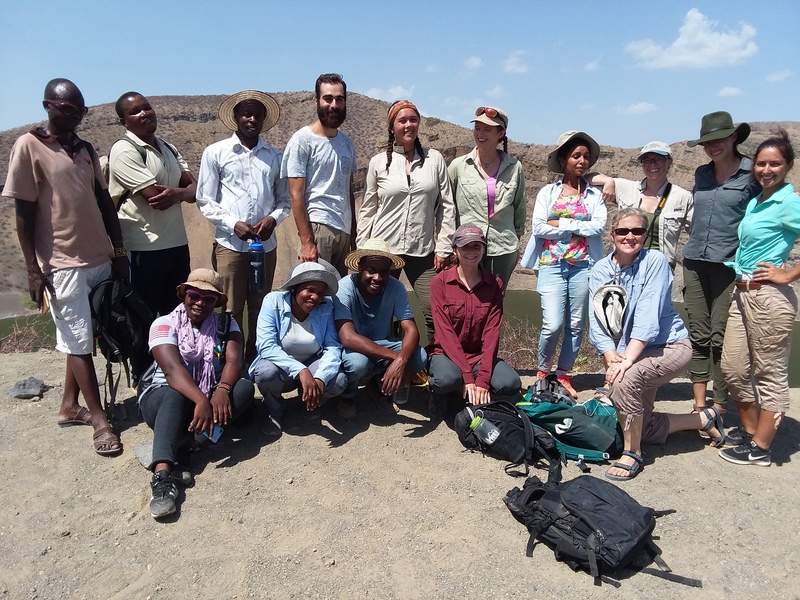 As part of the ecological module, Dr. Dino Martins led the class into the bush for our first taste of Turkana ecological research and the Turkana sun. Everyone adjusted quickly to the field. As we walked through the brush, Dr. Martin explained how to identify each new plant. 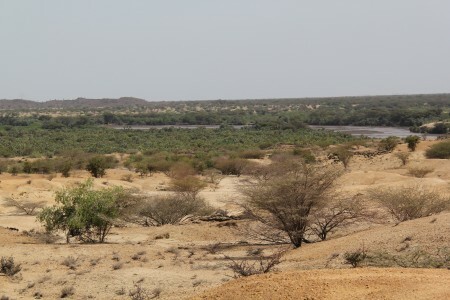 The low, flat-topped acacia trees that will be featured in many student photographs are Acacia tortilis, spiral-pod-dropping trees that provide forage for some browsers and pod-munchers, but deter too much bulk feeding with massive inch-long spines that snag hats and test the sturdiness of shoe soles. 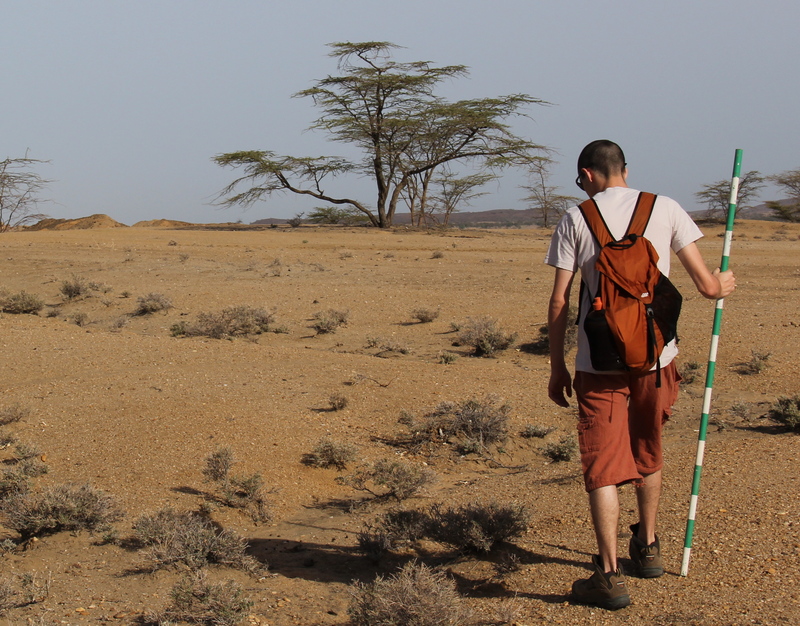 Aaron strikes out in search of plant diversity (acacias in the background). The short shrubs also sporting long spines (a common motif) that claw at socks and ankles are Indigofera spinosa, a relative of the indigo plant that is grazed by the Turkana’s goats and camels. This common plant will form the basis of much student research because of its abundance in the area and the importance of the plant to the region’s herbivores and herdsmen. 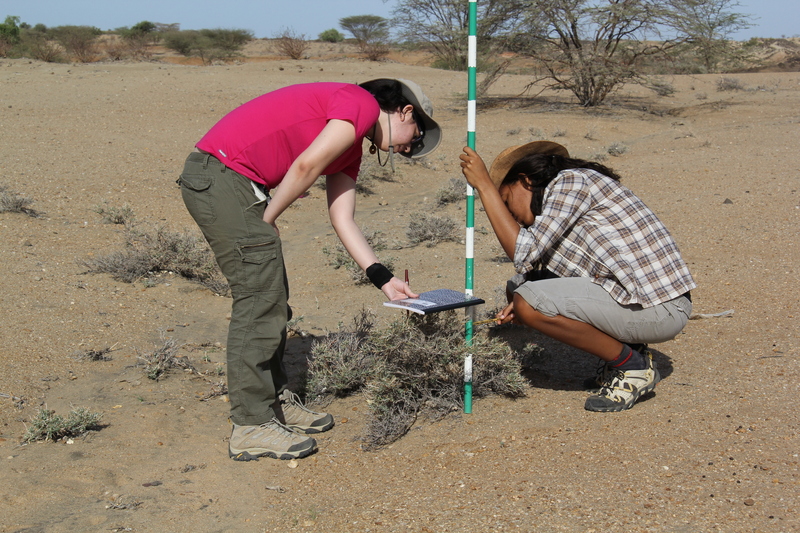 Ashley and Ana calculate the height and productivity of Indigofera spinosa. 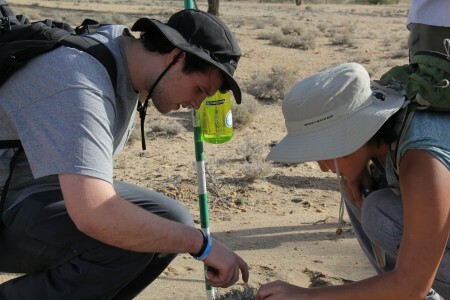 Students quickly adjusted to the environment and were soon marking out plant survey transects. 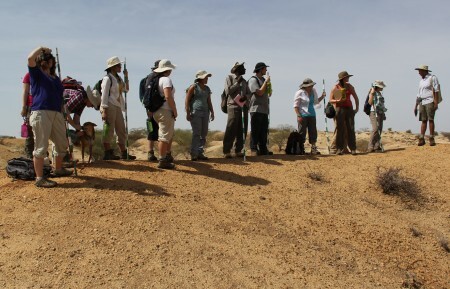 They walked ten-meter long lines through the bush, sketching and counting the species in the sample while recording their height and abundance. 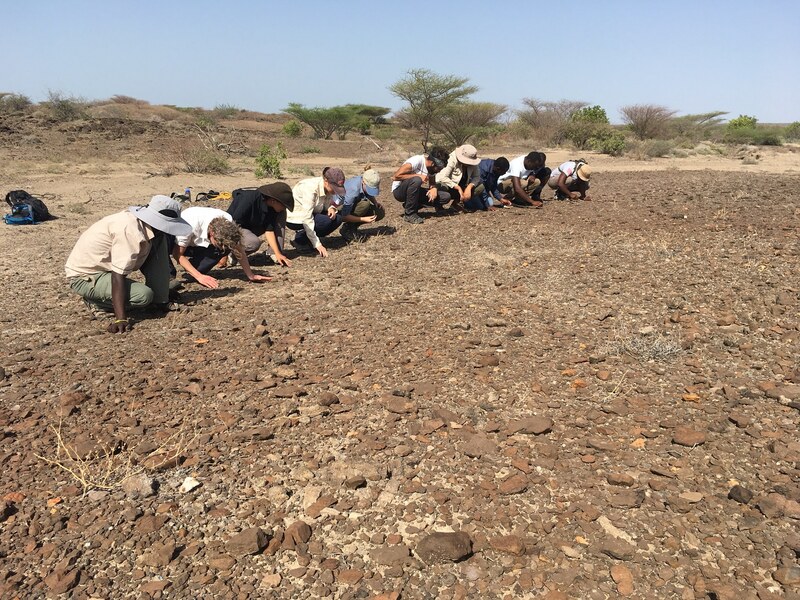 This exercise has been performed by previous field schools and with time and further sampling will form the basis of a botanical analysis of the understudied Western Turkana environment. 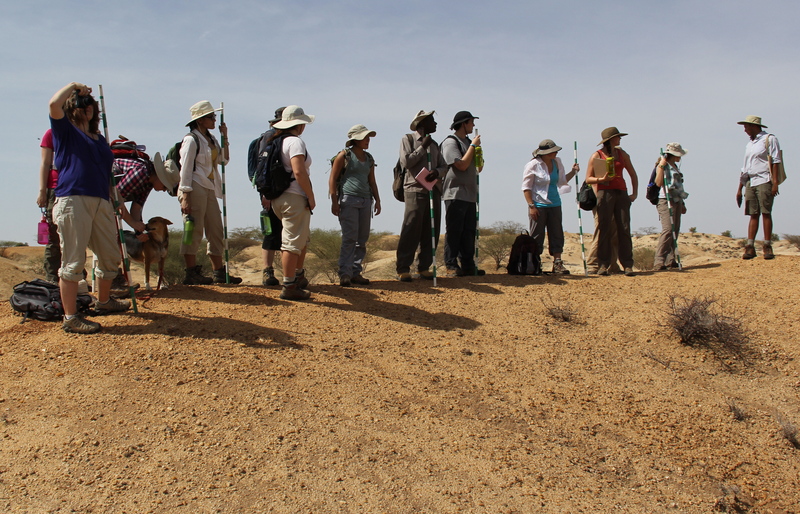 This extreme landscape is a natural lab for examining the ecological and cultural adjustments people and ecosystems make to survive local and global climate change. John and Holly count the number of seedpods, a favorite meal of passing goats and camels with care, dodging the plants long spiny defense. Other practical exercises involved illustrating the diversity of plants in meter square quadrants and counting the number of seed pods present on the Indigofera shrubs within the compound. Much of the area is aggressively grazed by livestock, particularly goats, but the TBI compound is fenced in, providing a natural control for plants to grow without the pressure of grazing. 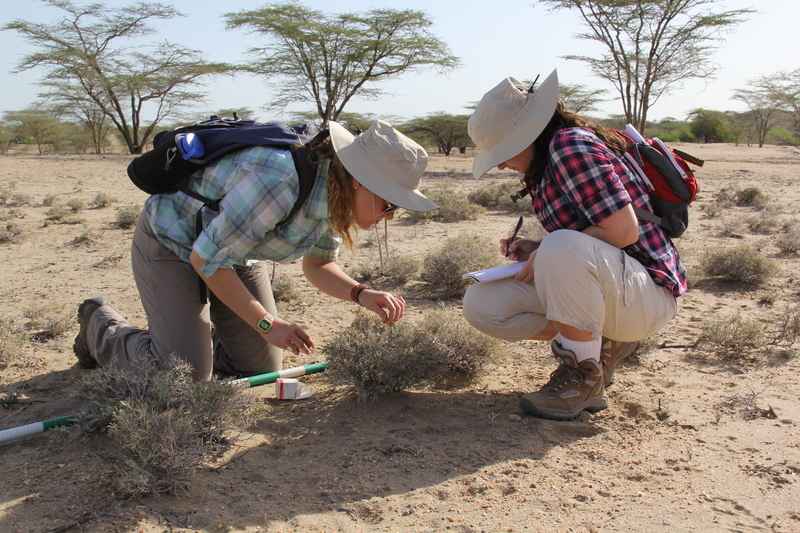 Everyone quickly became Turkana botanists, including Ingrid and Meagan, who found fewer and smaller shrubs outside the TBI enclosure. 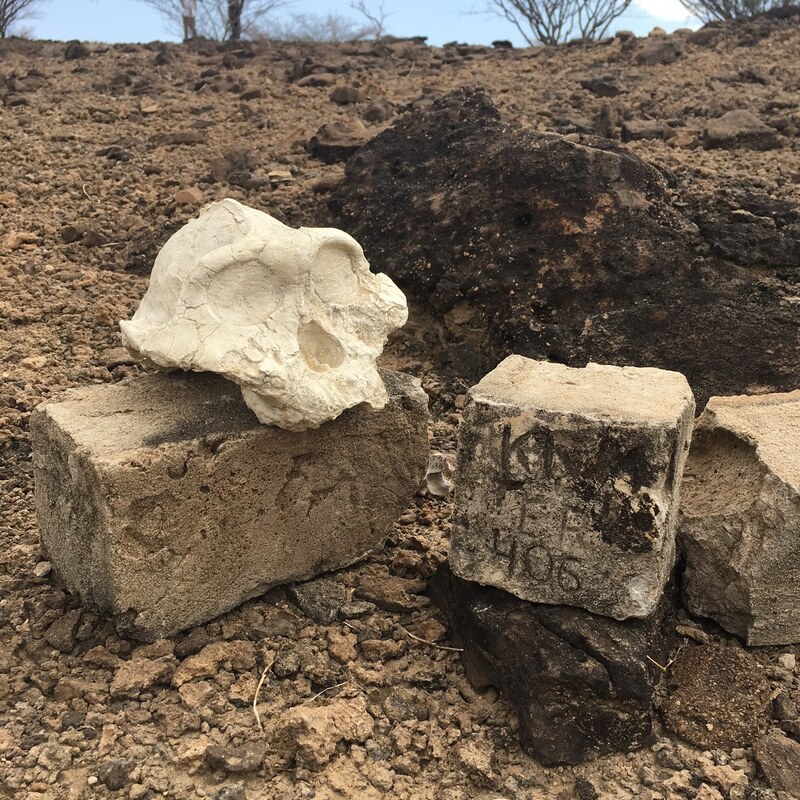 Dr. Martins took the crew outside the Turkana Basin compound and we repeated the seed pod counts and found the plants outside the fence were smaller and covered in fewer pods, a vivid demonstration of the impact the domesticated grazers have on the environment. 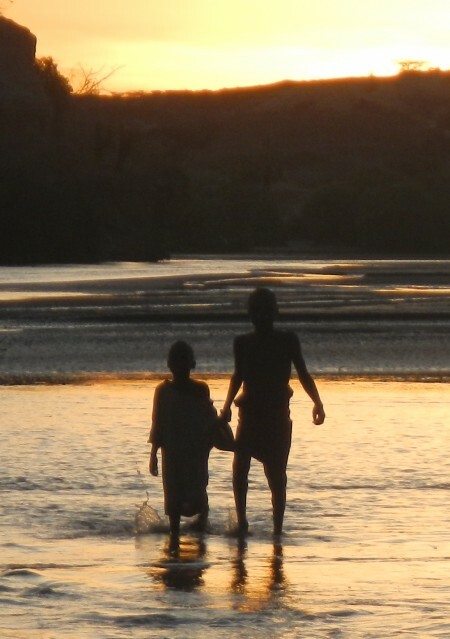 While collecting the seedpod data, several local children came out to watch the class in action. Francis, a Turkana man who has worked with the Turkana Basin Institute for several years, acted as linguistic and cultural interpreter as we focused on the dodging the spikes to collect the seeds. Eve and Cory take careful seed counts while Turkana children try to figure out the significance of the plant holding the students’ attention. 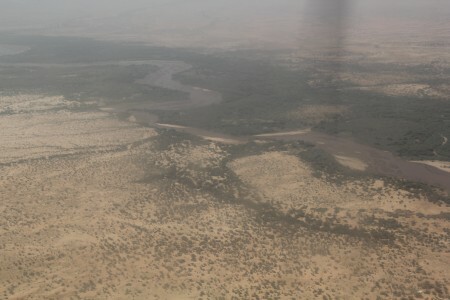 The field school finds a high, breezy ridge to observe the rolling landscape and the changing vegetation between the arid plain and the lush river. The effects of grazing, and likely overgrazing, in the Lake Turkana region are clear, as more open sand takes over the once-flowering patches of the savannah. But accurately quantifying the impact has not been possible until enthusiastic researchers were given a base of operations at TBI along with many willing research assistants (i.e. The Field School). 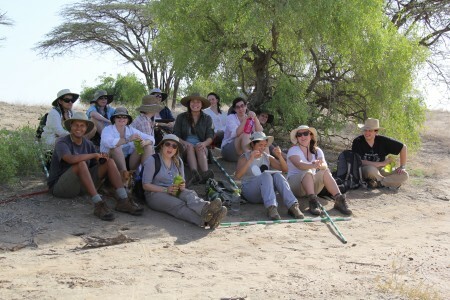 Francis ensures the students will make it back across the scrubland to lunch at TBI. In the next few days, the students will be identifying individual research projects that they will collect data for, analyze, and present to the class as part of the Ecology module. Again, these are not secondary reports on experiments performed by other researchers, but original work derived from data collected at and around the research station, a natural laboratory. Stay tuned to learn about the research projects the students have taken on including work on the ecology of the Turkwel River, the vegetation of the Turkana Basin, and the insects that act as disease vectors in the region. The natural lab filled with questions for students to explore. Turkana kids join the students for a cool, evening dip in the Turkwel River.